Use this guide to access online psychology-focused research databases and find other recommended resources. 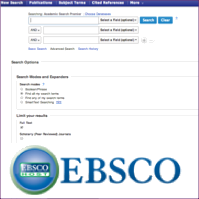 PsycBOOKS, from the American Psychological Association (APA), is a database of approximately 32,000 chapters in PDF from over 2,000 books published by APA and other distinguished publishers. Health professionals, social workers, and forensic and legal specialists use the fifth edition of the Diagnostic and Statistical Manual of Mental Disorders (DSM-5) to diagnose and classify mental disorders. 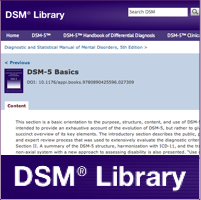 Through this link you will find the DSM-5, the “Handbook of Differential Diagnosis,” “Clinical Cases,” and digital copies of all previous editions of the DSM.